She has her Master's degree from Slippery Rock University in Adapted Physical Activity. 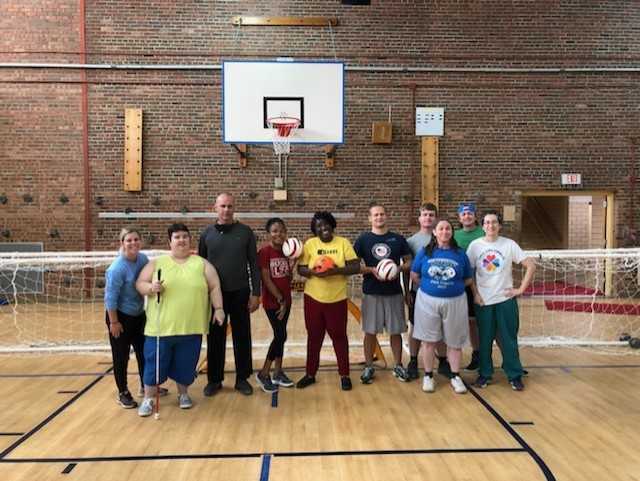 Katie currently works for Columbus Recreation and Parks and has ample experience working with individuals with visual impairments through the non-profit Envision Blind Sports. As pictured from left to right- Nicole Botkin, Dan Kelley, Erika Cooper, April Clark, Jim Debus, Noah Backman, Catherine Bister, Adam Ullom Volunteer, and Gina Loewengart Volunteer.